Experience Matters! My business model: Go after success for my clients until the job has been accomplished. done with professionalism, respect, kindness, compassion and patience. I take looking out for my clients' interest very seriously. Experience Matters! Since 1989 I have proudly served the Atlanta real estate market, gaining the knowledge and ability needed to assist YOU in achieving your goals, whether you are a Buyer or Seller. I am also a certified agent for USAA, specially trained to proudly service military families on the move, as well as having the designation of Cartus Certified Relocation Specialist and Preferred Agent. Experience truly does matter when making such an important decision such as buying or selling your home. There can be many unexpected issues, but if you have an experienced Realtor representing you, those issues can be predicted and resolved before they become a "challenge". It is my goal and desire to help make your purchase or sale a pleasant and stress-free transaction, as I understand buying or selling can be an emotional and stressful time. I stay very mindful of this when working with my clients. 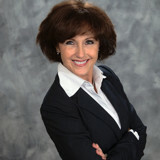 As an Atlanta native, I have knowledge of in-town and suburban properties in the Metro Atlanta market. I pride myself in giving quality service as a Realtor representing my clients rather than focusing on volume and losing sight of your needs. My desire is to work directly with you in order to give you personal attention throughout your buying or selling process.. I have enjoyed much success for 28 years in the Atlanta market and have made many good friends, many of whom have returned for their second, third and forth sale or purchase. It would be an honor to guide you successfully through your next sale or purchase. As we move into the future..... ONWARD & UPWARD! If you do not hear from me soon, I may be having trouble reaching you. Please call me at (404) 375-9744 to speak with me in person.